BRYAN EATON/Staff Photo. 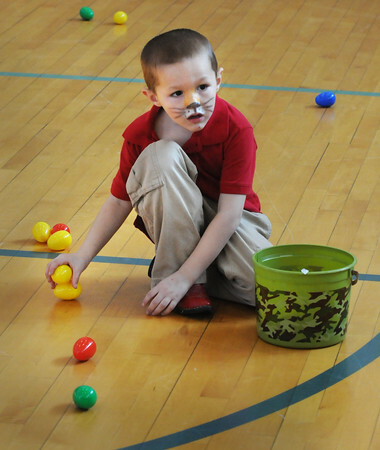 Robert Bishop, 5, of Salisbury grabs Easter eggs at the annual Easter Egg Hunt at Salisbury Elementary School. He early had his face painted as a cat in the cafeteria.